In our sport, the ultimate goal of many collectors is to own a factory prototype, or "works" bike. These bikes are the trickest of the trick, coolest of the cool, to most all motocrossers. I found this twin pipe in Europe and could not resist purchasing it. When I first saw a picture of it, I immediately noticed that something was wrong. I have owned about 6 twin pipes and am somewhat familiar with their specifics. It had a 250 engine case, but a 360 cylinder and head. (The 250 has a round, three screw ignition cover, the 360 has four screws and is more square) I scoured the internet for several nights looking for any pictures of this type of twin pipe. 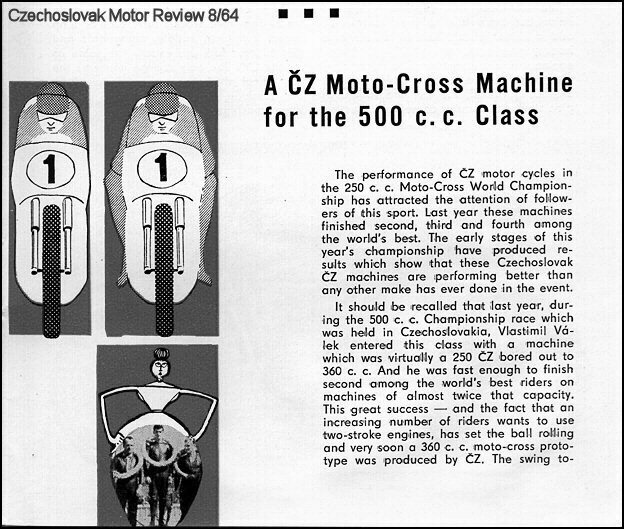 I called every CZ expert that I knew and was told that, basically, anything was possible back in the 60's with CZs from the factory, and was told of many "different" kinds of bikes that appeared at dealerships over the years. No one could tell me if they ever made a twin pipe like this, or not, for certain. I was told of how hard it would be to do such a thing, but that nothing was impossible. After several nights of searching images from the web, I came across this picture of Joel Robert sitting on a twin pipe that had a 250 engine case and 360 cylinder and head, as well as, Paul Frederichs with a twin pipe that had 250 engine cases with 360 cylinder and head. This is the type of bike that Paul Frederichs raced in 1965 and finished 2nd in the 500cc World Championship. 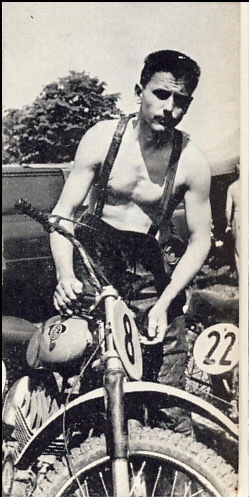 The next year, in 1966, he won on the new 360 Twin Pipe model bike. I recognized it as the same engine that the twin pipe I was looking to purchase had in it. Several more days of phone calls from Europe to anyone that I thought could shed light on this for me continued. I committed to purchase the bike with the seller and continued my search. I asked friends to contact Joel Robert, Roger DeCoster, or anyone, that could help me authenticate this twin pipe. Several days later I drove to Central Italy and purchased the bike. 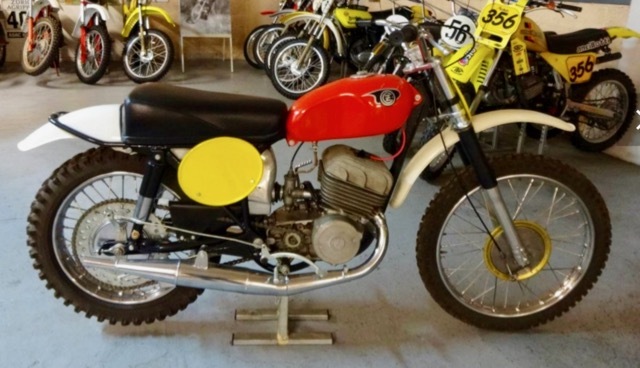 The seller had owned the bike for 12 to 15 years, completely restored it and added it to his very, very impressive collection of vintage MX bikes. In addition, he told me the story of purchasing the bike from Brno, Czech Republic, along with another CZ, from a man that had a very extensive collection of bikes, including ESO bikes. The twin pipe was in very bad condition when it was finally sold, after a year of negotiations between the two men. This had to have taken place around 2003. The man from Brno had owned the bike for a very, very long time. The man that I purchased it from spared no expense in restoring the bike and replaced the connecting rod in the engine. He verified that it was a 360 crankshaft, rod and piston when he replaced the connecting rod. When I got back to my place with the bike, I continued my search for more images, and could not believe how nice this bike was, or how historic it is to motocross. I found a complete article from a Czech magazine from August, 1964 on Reese Dengler's website, www.czechpoint.net. (See below) The information in the article tells the story and history of the prototype CZ 360s and how they were made from 250 engine cases. As each day started to pass, more information and more pictures were located. This is a very nice twin pipe, restored with more original parts than any other twin pipe that I have ever seen, or owned, and it is the prototype for the 360 twin pipe CZs. Too cool! 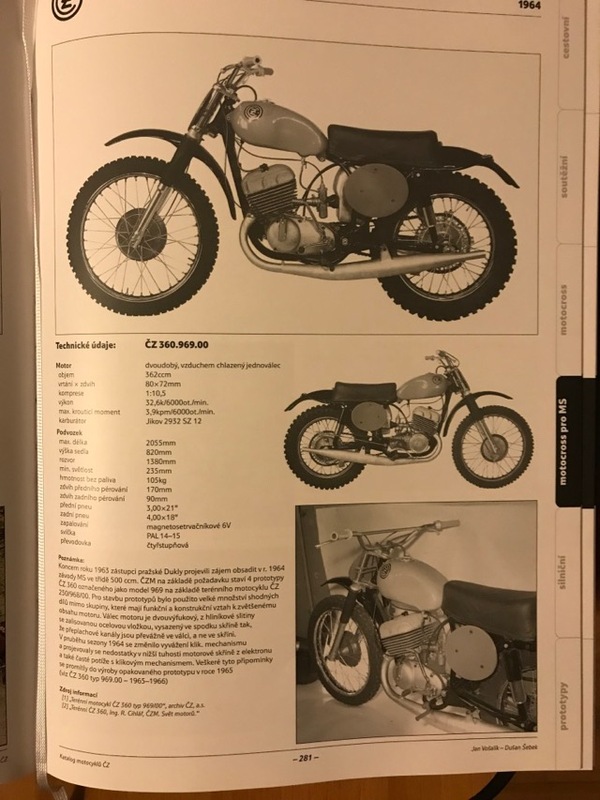 My friend Henry Gref talked to his connections in the Czech Republic with the CZ factory and was told that they made 3, or 4, of these bikes. They were not very durable with the 250 cases and early 360 crankshaft, so the 360 engine cases were developed and the crankshaft was improved for more reliability. Yes, it is a factory prototype works bike. Received a book from Jaroslav Cedak with the history of CZ bikes from 1930-1997. On page 281 of 480, in the factory race bike section, there is a page dedicated to this bike. There were 4 of these prototype bikes made. See translated information, below. 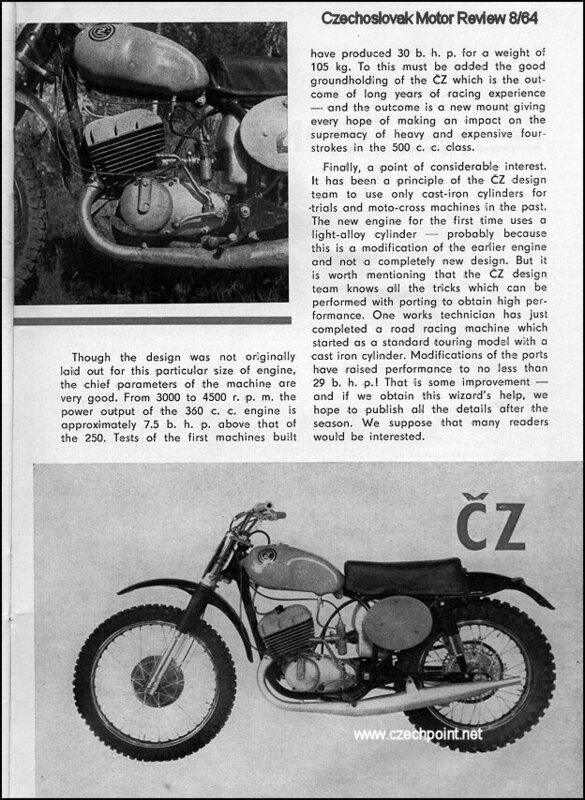 Hard Back book with the history of CZ motorcycles shows the prototype 360 Twin Pipe. 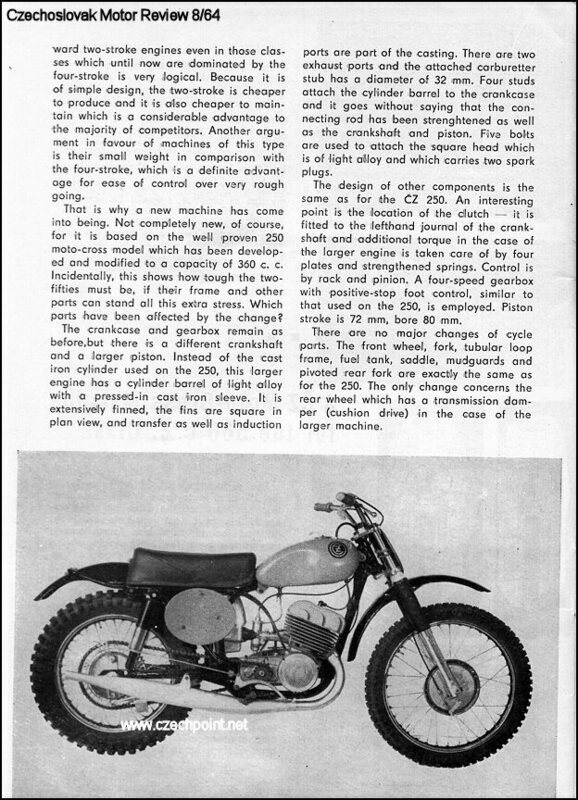 This is in the factory race bike section of the book that Roger DeCoster's factory CZ mechanic's son sent to me. (10) Terrain motorcycle CZ 360 type 969, archiv CZ a.s.
(2) Terenni CZ 360, ing R. Cihkar, CZM, World of Engine." Paul Frederichs with his prototype 360 Twin Pipe. 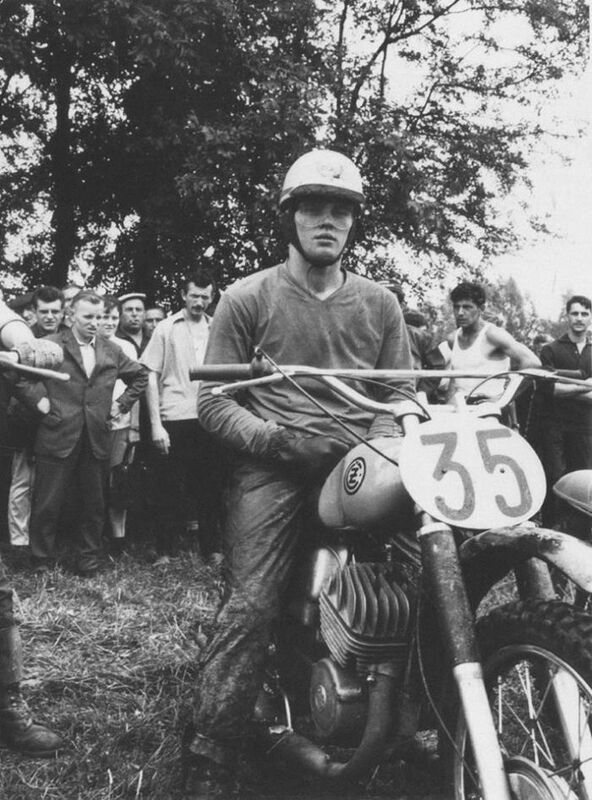 In 1965, he finished in second place in the 500cc world championship, behind Jeff Smith, before claiming his first world title in 1966 as a member of the ČZ factory motocross team. 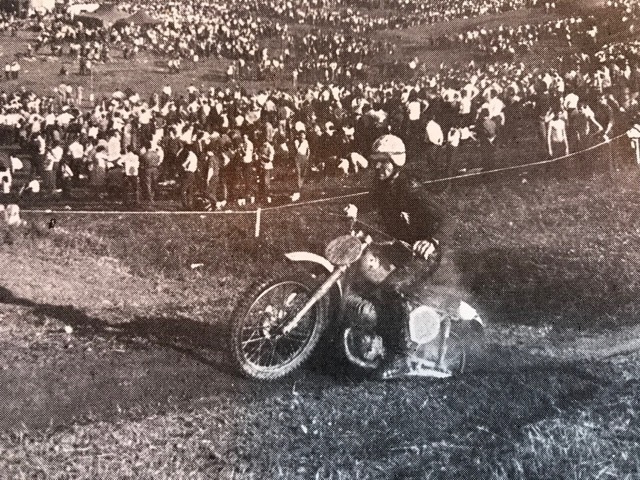 His was the first 500cc championship won on a two-cycle powered motocross bike and the first by a rider from the eastern 'bloc' of a divided Europe. He successfully defended his crown in 1967 and 1968, before falling to third place in the 1969 championship. Friedrichs finished second to Roger De Coster in the 1972 500cc world championship. Worth noting, the bike that I purchased has white fenders, not black, and hand grips that are not the typical CZ grips. The bike in this picture with Paul Frederichs has white fenders and hand grips like the bike that I purchased.